When it comes to costuming, enchantment lies in the details. Flora Kennedy’s exquisite accent pieces add layers of wonder and complexity to the costume design in the Starz series Outlander. Kennedy comes from a Hebridean family and learned to knit traditionally from her mother, then branched out into her own wild creations before returning to tradition—and to the Hebrides—to mix in what she’d learned. A multi-dimensional artist whose knits you want to wear and whose books you want to read, Kennedy proves you can do a little of everything and master it all in exquisite, beautiful ways. Stephanie Stewart-Howard: How did you get started knitting and who taught you? Flora Kennedy: I feel blessed now that I grew up with a mother who knitted almost constantly. She could knit anything. As a teenager I was mad about clothes and loved the idea of using what I wore as a way to define who I was, which in my mind was different. Soon I had knitting needles in my hands, and she was showing me how to hold them, how to cast on, and how to knit … I had practical support from the start, and we kept it fun. Soon I was making entire sweaters myself, andonce you knit something you like, it just lights the fire to make something else. It’s really a magical thing to create your own garment. SSH: Is there something about the folklore of knitting, the history of knitting that draws you to it? FK: Oh my goodness, yes! My mother grew up on a tiny croft in the Outer Hebrides, where she and her six brothers and sisters were all involved in washing, carding, spinning, and knitting wool from the family’s sheep. As the first of my Hebridean family to be born off a croft, I feel I’m just the latest extension of that knowledge, albeit in a vastly different world. 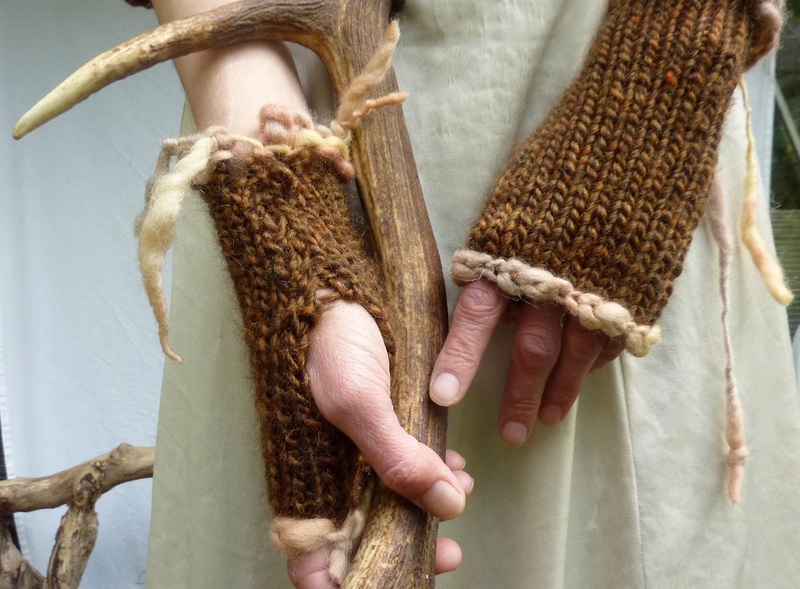 When I knit, especially using native breed wools, I feel a deep sense of connection with my ancestors—extraordinary, hardy, big-hearted, wild men and women. For them, knitting was a skill required for survival. Pure wool socks and sweaters clothed their kin against brutal weather. When my mother taught me to knit, she was also teaching me an ancient, practical Hebridean craft. This thread has been something of a centering pivot point for me in my life, living all over the world in different cultures and always knitting. SSH: What is it that created your love of knitting—history, texture, just working with the yarn? FK: In the beginning, I was all about creating wild outfits and working with all kinds of fancy yarns—really the exact opposite of the wools I’d grown up wearing. I took great pleasure in knitting with wire one day, a super-soft luxury baby yarn the next. Everything you knit makes you more confident as a knitter, and there is always something new to learn. You also get to find what kind of knitting fits your nature, and that feels really good. And you can express your love in an original way through your hand knits. Coming home to the Hebrides, I’ve come full circle, feeling that we are all continuations on a theme, that we belong, and it is deeply satisfying. I am fascinated now by the history of knitting in the Hebrides and proud of my people—women who tended, fed, and lambed their own sheep, sheared them by hand, washed fleeces in streams, dried them on tussocks of heather in the sun, carded wool, and had their children card the wool, and then clacked away in the peat-smoke-filled stone croft houses on spinning wheels and clicked away on knitting needles. I like the idea of our all having individual yet ultimately similar stories and taking strength from them, and I have felt the power of this myself. It is a beautiful truth for us all and how we love to hear each other’s stories. SSH: You have a very diverse collection of artistic skills at your disposal. How do you balance knitting, other design, and writing? FK: I just go where the mood takes me. It’s important for me to be in flow. I am at my best when I’m able to be in the moment and move along pathways of inspiration in the moment. The mental activity of writing is beautifully counterbalanced by the soothing, menial quality of knitting. It’s also wonderful to knit while working through a concept, whether design or writing. It helps calm the mind so that good thoughts come easy. SSH: How did the producers of Outlander select your work for the show? 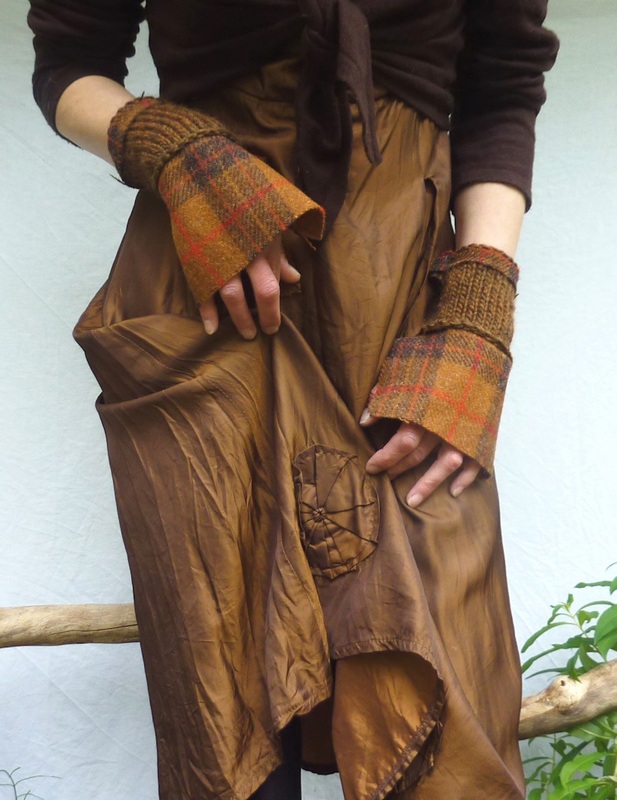 FK: I was hand-knitting Scottish garments and accessories that had a whimsical quality, a wildness of spirit, and having fun presenting them in my Inner Wild Etsy shop. Some of these items fit with what the Outlander costume department had in mind for several of the characters in season one, so they just bought things they liked from my store like every other customer. This was such a joy for me because I was an Outlander fan myself and had no idea a TV series was being made. The first item they bought from my shop was my Wolf in Sheep’s Clothing Capelet, which was worn by Claire. SSH: I love the aesthetic you work with—the rich, chunky textures and the saturated natural dye colors. Is this from Scottish tradition or some other inspiration? 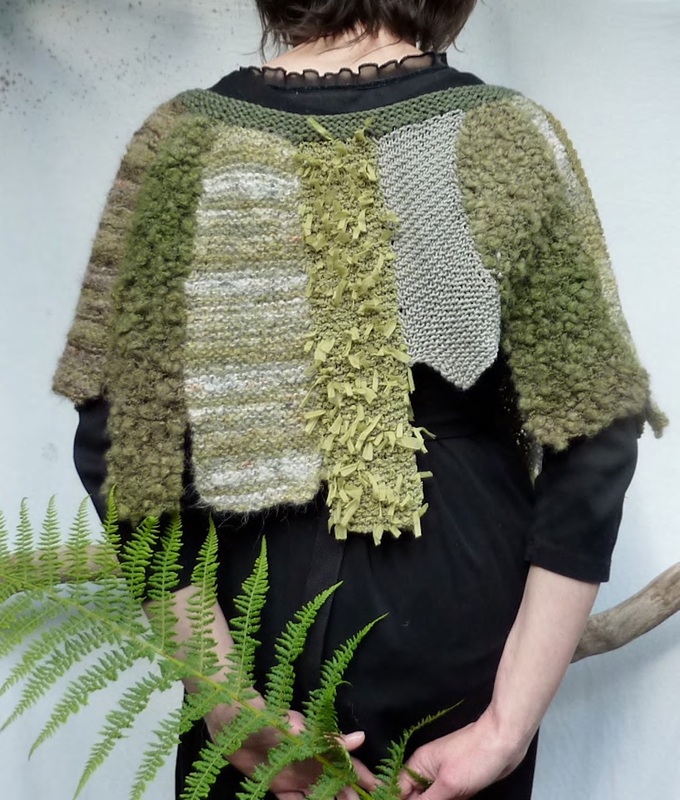 FK: I feel my affinity for chunky textures—an abundance of fabric working in pleasing rhythm and the patterns that creates—comes from my childhood of wearing hand-knitted Aran, Lopi, and Fair Isle sweaters. I like to modernize traditional stitches, take them in new directions by applying them to different garments—using a body cable pattern as an edging and so on. I’ve noticed my sense of color has morphed and muted living so close to nature. I’m more attuned to noticing and appreciating sparks of bright color on muted gray, blue, brown, green palettes, like wildflowers suddenly blossoming on the machair near the shore. 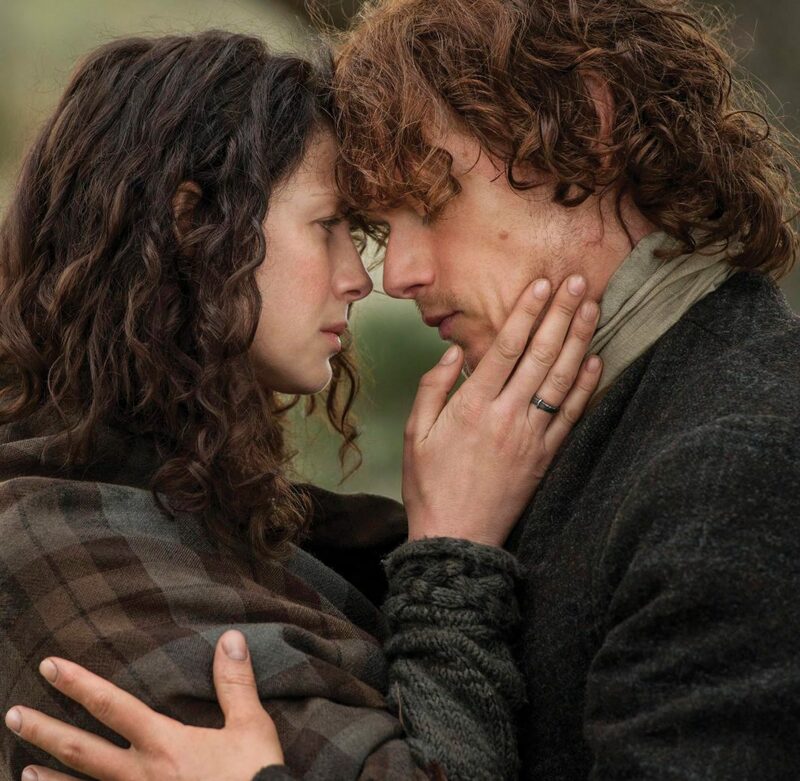 SSH: How historically accurate are the knits you create for the time of Outlander? FK: The stitches are the same, of course, as they have always been. And while native breed Scottish wools are not easy to find, this is changing. Wools like Hebridean, Black Face, and other North Atlantic breeds are becoming more popular. I love working with these wools. They are quite different to knit with, having their own life and energy to them. SSH: I’m sure you wear things you make yourself. What are your favorite pieces? FK: I have a pair of Celtic mitts in Harris Tweed wool I plied myself, which have molded themselves into the shape of my hands over two years. I always put them on to chop wood, saw things, or work in the garden because they make me feel more adept when I wear them! 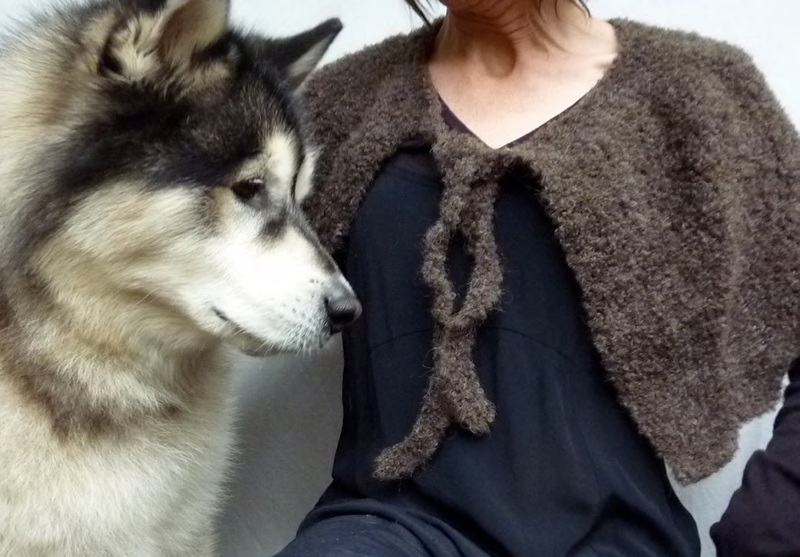 I also love a cable bodice I knitted in a very precious handspun yarn—a mix of lamb’s wool and my Alaskan Malamute Boo’s undercoat fur—so beautiful and also sentimental. SSH: I have to ask—do you believe in magic? Follow Flora Kennedy on Twitter @innerwild. Stephanie Stewart-Howard is a journalist, costumer, artist, actor, and scholar, happily tech writing for a multi-national gaming company. Formerly an editor with Gannett, she’s the author of The Nashville Chef ’s Table, Kentucky Bourbon and Tennessee Whiskey, and myriad articles on art, fashion, travel, and nerd culture.